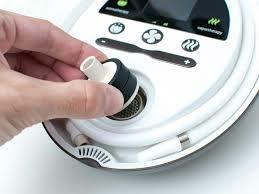 When I first tried the Herbalizer, it was a mere rumor and the talk of the town. Like many of you, my thoughts were that this sounds way too good to be true. That all changed when a buddy of mine texted me to come over to try out his new vaporizer. Of course, I made my way over and I didn’t notice it in his room at first. In my defense, his room is a wreck and it’s hard to make sense of anything going on in there. Anyway, I saw him sitting by his table grinding herb, looking proud, over this egg shaped unit. And that’s when I realized I was in the presence of the Herbalizer. 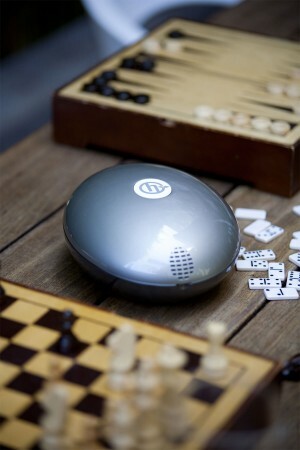 The unit itself does not look intimidating, just sitting there looking sleek and harmless. When I opened the top, it was seamless and light, revealing the digital display. 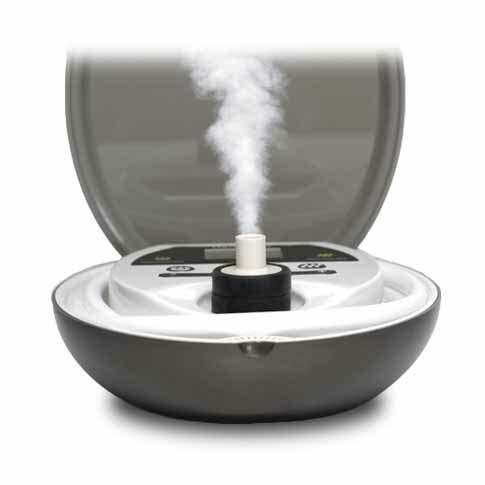 There are two simple settings: aromatherapy and vaportherapy. Easy enough for even a klutz like me! As my friend was grinding the herb, I couldn’t help but laugh at the fact this little unit was about to get me super medicated. I guess I was just anxious to try. 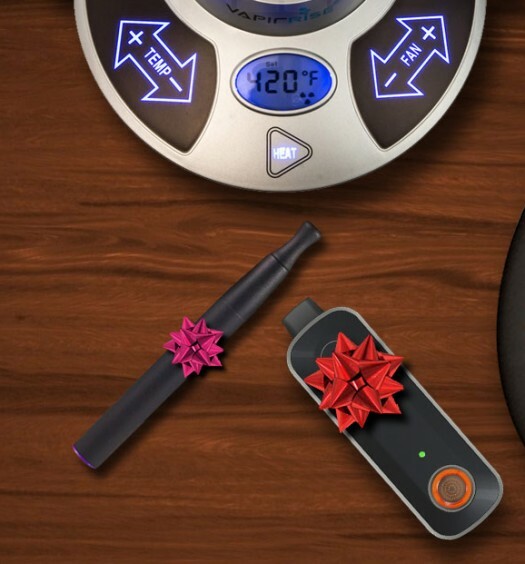 We placed the herb into the magnetic bowl (pictured below), which snaps and sits over the heating element, and set the temperature to 375 (which was displayed with vibrant colors) and placed the bag over the bowl to catch the fast moving vape. The heat up time is no joke! Before I knew it, the bag was pumped full of vapor and ready to go. The first hit I took was surprisingly smooth and had a nice flavor to it. The distinct flavor, I realized, was my buddy’s high-end strain. When I filled the bowl with my cheap bud, I could taste the difference between the strains. The bag is unique in that it has a squeezy-valve function that makes it easy to contain the vapor but also dispense the vapor when pressure is applied. It also comes with a whip, but I have yet to try that aspect of the Herbalizer yet. Breathing out the vapor, it felt reminiscent to smoking herb, everything but the intense coughing that comes with smoking. When we finished that bag, we turned the temperature to 375, then to 390 to finish off the remaining bud. Can’t wait to hit the Herbalizer again with wax and oils. I was definitely impressed with the Herbalizer and really enjoyed the ride. I’m even saving up to buy an Herbalizer of my own!